The black gem studded fashionable earrings makes for a visual treat by combining black gems with white pearls to create the ultimate color blocking effect. 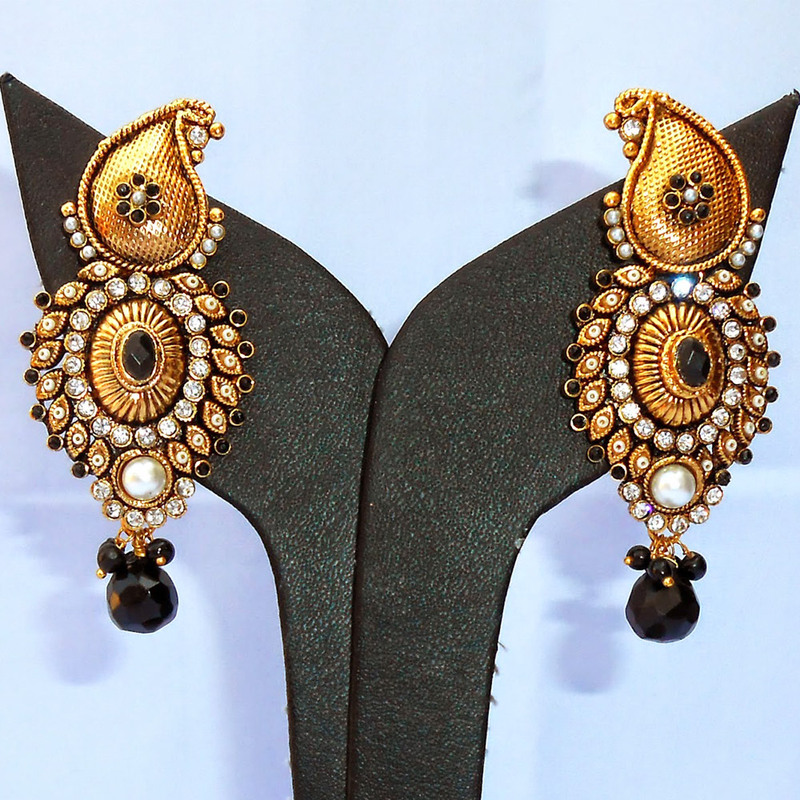 Read More..Tiny black gems bedeck the gold plated brass stub with a tiny white bead at its center. The play of color contrasting continues throughout the earrings with a large black gem adorning the center of the body of this piece, while two rows of white beads encircle it with black gems again studding the outermost periphery. Therefore, this pair of earrings is bound to appeal to all those wearers who are fond of deep color contrast on their jewelry pieces. Show Less..